Former Truckee residents and Far West Nordic alumni Chelsea Holmes and Matt Gelso recorded top-10 finishes on the first stop of the USSA SuperTour in West Yellowstone, Mont., on Saturday. After a delay due to cold temperatures, Holmes, now with the Alaska Pacific University Nordic Ski Club, finished just 1.08 seconds behind winner Katherine Ogden in the women’s 10K freestyle race. Emilie Cedarvaern rounded out the women’s podium in third. Truckee’s Hannah Halvorsen of the Sugar Bowl Academy finished 16th overall and was second only to Ogden among junior racers. Gelso, who skis for the Sun Valley (Idaho) Ski Education Foundation, finished ninth in a field of 147 racers in the men’s 15K freestyle race. 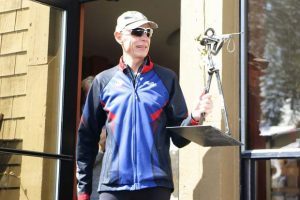 Olympian Brian Gregg of Minneapolis — winner of the Squaw Mountain Run this past summer — claimed the overall win and was followed by Matt Liebsch and Scott Patterson in the top three. 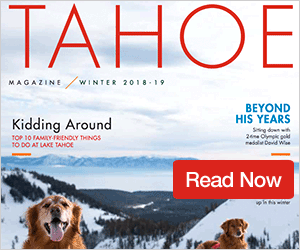 A number of other Nordic racers from the Truckee-Tahoe area competed, including Wyatt Fereday and Spencer Eusden, who placed 50th and 51st, respectively, in the men’s race, as well as Dylan Syben (66th), Julien Bordes (75th), Ryland Belisle (89th), Casey Jobe (93rd), Peter Carroll (94th), Brandon Herhusky (112th), and Skyler Mullings (124th). Other Tahoe athletes in the women’s race included Quinn Lehmkuhl, who placed 55th overall and 17th among juniors, and Urs Volz, who was 66th overall and the 26th junior. The SuperTour continues with a 15K/10K classic race along with a full classic sprint in Sun Valley, Idaho, on Dec. 5-6. 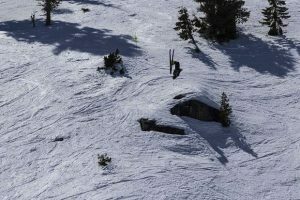 Information for this article was provided by usskiteam.com.